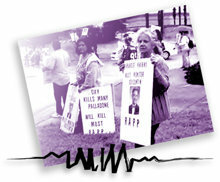 Family members protest deadly painkillers. Rehab experts say addiction to powerful painkillers such as OxyContin is among the hardest of all to kick. Long-term use of painkillers can lead to physical dependence. The body adapts to the presence of the substance and if one stops taking the drug abruptly, withdrawal symptoms occur. Or the body could build up a tolerance to the drug, meaning that higher doses have to be taken to achieve the same effects. Like all drugs, painkillers simply mask the pain for which they are taken. They don’t “cure” anything. Someone continuously trying to dull the pain may find himself taking higher and higher doses—only to discover that he cannot make it through the day without the drug. Symptoms of withdrawal can include restlessness, muscle and bone pain, insomnia, diarrhoea, vomiting, cold flashes with goose bumps (known as “cold turkey”), and involuntary leg movements. One of the serious risks of opioids is respiratory depression—high doses can cause breathing to slow down to the point it stops and the user dies. “I am addicted to prescription pain medication. I first started taking prescription painkillers [some] years ago when my doctor prescribed them to treat post-surgical pain following spinal surgery....Over the past several years I have tried to break my dependence on pain pills and, in fact, twice checked myself into medical facilities in an attempt to do so. — Excerpted from radio commentator Rush Limbaugh’s on-air statement, Friday, Oct. 10, 2003, according to Premiere Radio, his broadcaster.